Comedian Gilbert Gottfried lost his job as the voice of the AFLAC duck after a highly publicized social media gaffe. Blogger Jeff Bullas recently posted his list of 30 things you shouldn’t share on social media. Some of his suggestions were humorous, and some were serious. I’ve been going through the process of reviewing resumes and interviewing college students applying for a part-time marketing assistant job that’s open at work, and I wish that every one of them would read and heed a list of things they shouldn’t share on social media. No, I wasn’t screening them by checking their social media profiles behind their backs. One part of the job we’re offering is posting to our corporate social media pages and blog, so I asked them for work-appropriate samples of their work they wanted to share on a laptop hooked up to a projector in our conference room. And a succession of candidates – knowing they were in a job interview, and knowing that they were being interviewed for a social media internship – chose to display their personal Facebook, Twitter, MySpace or blog pages. And nearly all of them inadvertently displayed photos, comments, and content that should never have been shown to a potential employer. Some blushed, some giggled, but the worst offenders didn’t comment at all, leaving me to think that they weren’t in the least embarrassed by what they flashed on the wall for us to see. So here’s my all too serious list of things I wish job candidates hadn’t shown me during job interviews. Party photos showing you inebriated or with a hand placed where it shouldn’t be – especially if you’re under the legal drinking age. Complaints about your current boss, your job, and the customers. Comments about being so much smarter than your boss and your co-workers, or critiques of the weight, age, or appearance of your boss and co-workers. Sexually provocative and explicit photos. One job applicant had a huge photo of her Halloween costume on her blog as a featured photo. The costume was a sheer body stocking with thumbnail-sized modesty panels. The 20-year-old was holding an open and half-empty bottle labeled Absinthe Tunel 80 Cannabis, and smiling at an apparently naked guy facing her in a crowded bar or club. Did I mention she’s a student at a conservative church-sponsored university? Or that the drinking age in our state is 21? Or that the Spanish concoction she’s holding can’t be legally imported into the U.S.? These next two weren’t shown to me during interviews, but people I know reported having them shared with them. This doesn’t mean you can’t share your faith or your support for a politician on your social media pages. It just means using good sense and remembering that potential employers may see it whether they intend to or not. At the risk of offending, I will point out here that the use of certain racially charged words may be perfectly acceptable in rap music, but they usually are NOT acceptable at work. And someone my age who is old enough to remember the days before segregation ended may be more sensitive to them than those born afterwards. Peppering your blog or your social media posts with them doesn’t encourage me to hire you. How do I know that you won’t use them around the office? So am I saying that you can’t express yourself freely on social networks, or that I won’t hire you if you say the wrong thing? Not at all. It is possible to exercise your free speech rights and keep or get a job. I’m just saying that if it’s personal and private, keep it that way. I don’t want to be your Facebook friend if I’m your supervisor. And I certainly don’t want a job candidate to walk into an interview and show me stuff that will make it nearly impossible for me to work with them. Remember, candidates were told a week before the interview that they should be prepared to show samples of their work, and were given links to our social media pages and blog. Any or all of them had the opportunity to “clean up” a page to display, create a new one, or dodge the question altogether and comment on our pages or their favorite pages instead of showing me inappropriate images and content. One of them did just that. She prepared a sample blog and Facebook page, along with a list of her favorite corporate social media campaigns. I never saw her personal Facebook page (which she volunteered was not public). Guess who got the job? 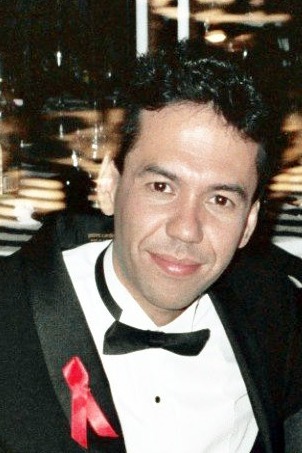 Photo Credit: Hollywood photographer Alan Light offered this photo, taken at the 1991 Emmy Awards, via Creative Commons License on Flickr. Gallery | This entry was posted in Uncategorized and tagged Deb McAlister, free speech, job search mistakes, online privacy, reputation management, social media, social media job search. Bookmark the permalink.